Steve Wallen Swim School offers competitive swimming lessons for kids and adults of all skill levels looking to improve stroke technique and efficiency. Our experienced coaches offer the most up-to-date knowledge and techniques in order to give our students that extra edge in their next competition. Whether you are an age group swimmer, high school swimmer, masters swimmer, or a triathlete, our team at SWSS can tailor our programs to meet your specific need. Stroke technique is everything at Steve Wallen Swim School. In our minds, many swimmers do not put enough focus on their stroke technique and form in order to maximize their potential. Many swimmers assume that the yards they are putting into their training will be a direct translation to their swimming success. This is not always the case. that they are repeating on a daily basis in their training. If a swimmer is training with bad technique, they are only going to continue to reinforce these bad habits through repetition on a daily basis. Steve Wallen Swim School provides year-round indoor swim lessons for competitive swimmers. From our experience, we believe students who Schedule a private swim lesson with one of our highly trained, adult swim instructors today and let us help develop a swimming stroke that is worth repeating. Our state-of-the-art facility offers an ideal atmosphere to foster the greatest potential of any swimmer. From students looking to learn all for swimming strokes, to more advanced swimmers looking to fine-tune their skills, Steve Wallen Swim School is prepared to meet and exceed your expectations. Steve Wallen Swim School offers a high level of swimming instruction. Our coaches can al help develop better techniques for starts, turns, and other racing strategies. Our facilities provide the opportunity to work on racing dives and backstroke starts, and the depth in order to work on flip turns and open turns. There are also many other racing strategies for swimmers to develop in order to maximize their performance. Our coaches at Steve Wallen Swim School offer the experience and knowledge for both open water and pool competition. Some people may think competitive swimming is just competitive swimming, but there are many different variables that go into the preparation and racing for each event. 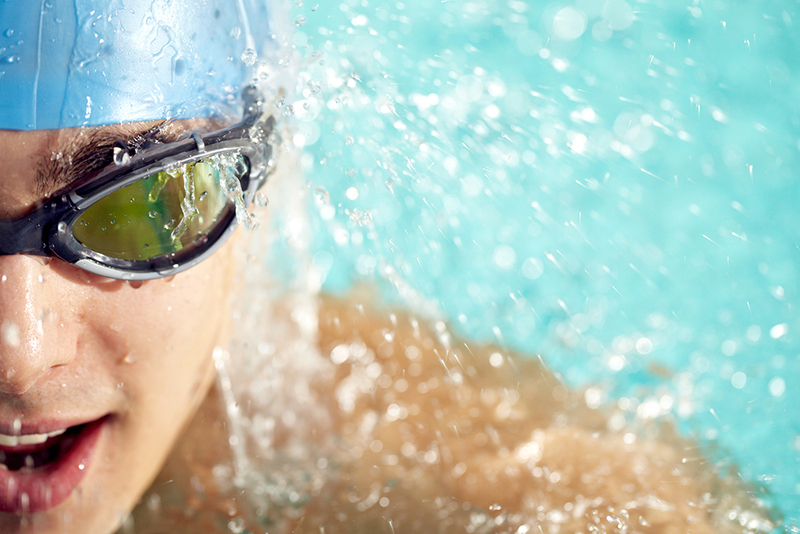 Let one of our coaches help you better prepare for your next swim competition. Steve Wallen Swim School works with triathletes of all skill levels Whether you are an avid runner and cyclist who wants to add swimming to your training and compete in your first triathlon, or a competitive triathlete training for an IRONMAN, our experienced staff at Steve Wallen Swim School can help. Whether you are having trouble with skills such as body position, breath control, proper rotation, sighting, or any other open water techniques, we are prepared to meet and exceed your expectations. Contact us today to inquire about our competitive swim lessons for kids and adults, or schedule a class. You’ll be glad you did!